How Much Will My Home Appraisal Cost? The cost of a home appraisal is typically a closing cost fee paid in advance by the home buyer at loan inception, after offer acceptance. The fees vary depending upon the location of the property and complexity of the appraisal process, but the cost of an appraisal is also driven somewhat by market demand, as with any other service. If you ask Realtor.com for an estimate of a home appraisal cost, the general answer seems to be in the $300 to $400 range, but that seems to be an outdated estimate. It might apply to small rural areas in the Midwest, but not to metropolitan markets in California, for example. Will an Appraiser Tell You If the Home Will Not Appraise at the Sales Price? Appraisers are not immune to the fact that a buyer and a seller are counting on the home to appraise at the agreed upon contract value. 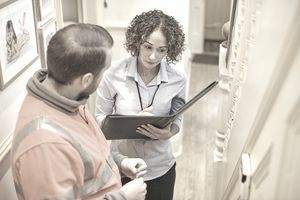 Although an appraiser cannot base an appraisal on the sales price, don't make the mistake of believing an appraiser is insensitive to that issue. The appraisal situation in Davis, California, involved an FHA loan. FHA appraisals are assigned a case number, which means if the transaction fell through, the next FHA buyer would obtain the same appraisal. Because of that, the AMC called the lender to warn the appraisal would probably be $100,000 less the sales price and asked if the lender directed the appraiser to continue. The lender thanked the AMC and chose a different AMC company. In case you're wondering, the lender paid the first AMC $150 for helping out. However, the second AMC produced an appraisal at almost the same value, but it was still $95,000 less. Still, you can see how an arrangement with an AMC might be beneficial to a borrower. It is always possible a second appraiser would use different comparable sales and produce a higher appraisal. Appraisals are not absolute guarantees of value. They are a professional's opinion of value, following standard protocols. Prior to the 2007 subprime mortgage meltdown, the cost for an appraisal in Sacramento was about $375 to $425. Conventional and FHA and VA appraisals do not cost the same. There is often a $50 difference in an appraisal fee between a conventional appraisal and an FHA appraisal, as FHA appraisals are more expensive. That's due in part to the additional requirements and guidelines for an FHA appraisal. An FHA appraisal might require more "loan conditions," that is repair requirements before funding the loan because FHA loans carry stricter guidelines than conventional. That's why you might see some homes with peeling paint or deferred maintenance advertised as "conventional only." The best time to bring up the cost of an appraisal is when you are ready to choose a mortgage broker. Unless you are dealing with a disreputable mortgage lender, pretty much all mortgage loans cost about the same. There is very little difference between interest rates and points. The difference is in service. As an additional enticement, sometimes lenders will offer to pay for the buyer's appraisal. You should ask. The cost of an appraisal varies depending on location. For example, most metropolitan areas in California cost about the same for an appraisal. Right now, FHA appraisals in the Tahoe/San Francisco and Sacramento areas run about $550 to $575. The cost for a conventional appraisal ranges from $500 to $525. A VA appraisal, not surprisingly because the VA is very thorough, is about $600. Jumbo loans might cost $750. A custom home on the waterfront with 5,000 square feet and many expensive upgrades might cost $1,200 to $1,500 to appraise. Why Do Homes Appraise All the Time at the Sales Price? A buyer asked me a few days ago why every time she bought a home, that appraisal came in at the sales price. She wondered if there was some sort of collusion going on between the lenders and appraisers. The fact is appraisers receive a copy of the purchase offer. They try to find comparable sales that will meet the appraised value. If the home is worth more than the sales price, sometimes the appraiser will not assign a higher value to the property because it's unnecessary. It only needs to be worth at least the sales price. Not only is it unnecessary, but if the value is a lot higher, the lender might call that appraisal non-conforming and refuse to make the loan.